Cantor Berkovits was born in Szormbathely, Hungary in 1916 where his father Samuel was Chazan and Shochet. Reuben was the youngest of eight children and the family lived within the shul compound. He acquired his knowledge of Chazanut and music from his father with whom he officiated and later studied at the Papa Yeshivah. At the age of 18 he was drafted into the Hungarian army. He was captured by the Germans and sent to a concentration camp. He escaped from one of the camps and was shot while escaping. Fortunately the bullet scraped his back and he was not hurt. Once he jumped off a train on the way to a concentration camp and hid in the forest. However he was once again caught by the Germans. The German officer made him sing lieder for them in the evenings, which helped to keep him alive. At the end of the war Reuben was still incarcerated in a Russian work camp where everyone tried to prove they were Jews in order to get out. He was chosen to sweep the floor of the camp commander, who was rumoured to be Jewish. He hid in a closet during roll call and when later found by the commander he begged to be able to prove his religious persuasion. The commander challenged him to sing Kol Nidrei. On hearing the beautiful singing of the young Chazan Berkovits, the commander cried and let him leave the camp. Chazan Berkovits took voice lessons from the famous Biniamino Gili. Chazan Berkovits was blessed with a lyric tenor voice and sang with great artistry. Whilst at home singing traditional East European Chazonus, he also excelled in inserting catchy tunes into the service that people could join in with. He was much involved in helping those less fortunate – always doing so in a discreet manner. He had many talents apart from singing. He built up a central heating and oil supply business, in addition to his Chazonus. He was blessed with a good sense of humour and had a love for Israel. In an interview with the Jewish Telegraph, the well-known pop singer Elkie Brookes (nee Bookbinder) says that when she started singing at an early age Chazan Berkovits encouraged her and gave her some voice lessons. She said that she wishes that she would have taken more seriously the vocal tips that Chazan Berkovits gave her as she would have had an easier singing career! 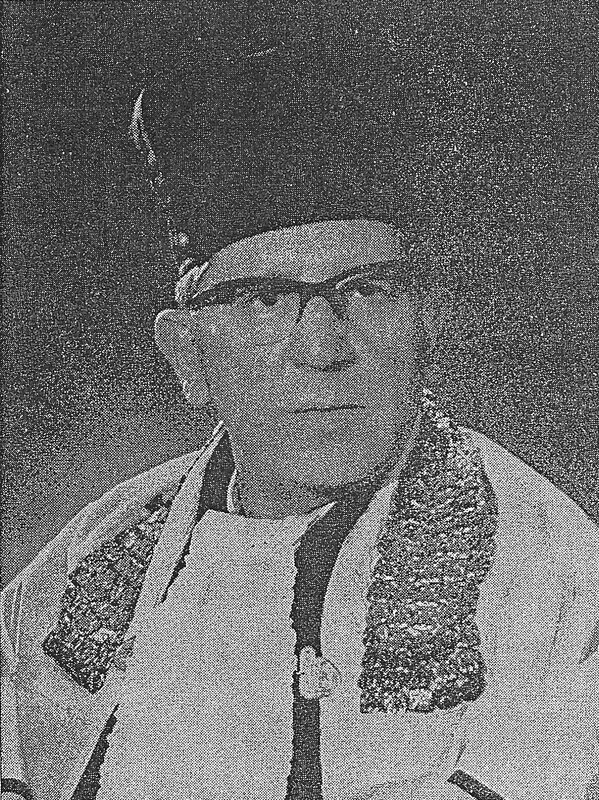 Chazan Berkovits was a member of the Association of Chazanim Ministers of Great Britain as well as of the Manchester branch. My sincere thanks to Chazan Yehudah Marx for writing this item.